May is Recommitment Month. WhereBridesGo.com decided that this would be the perfect time to focus on the husbands and wives that want to say "I do" to each other all over again. Vow renewals are a wonderful way to remember all of those lovely promises that you made to each other on your wedding day. The definition of commitment is "the act of committing, pledging, or engaging oneself; a pledge or promise; a promise to be loyal to someone or something." The prefix "re" means to do something again. A vow renewal can happen for a variety of different reasons, and at any time that you feel like making it happen. Some couples simply want to remind each other that they still hold all of the promises made on their wedding day near and dear to their hears. Others may not have had the money for a big wedding when they were younger, and they want to fix that now that they can afford one. There is no set time when a vow renewal is supposed to happen. It can be on a landmark anniversary, or it can happen at a random time just because you feel like it. You may even want to make it a yearly event in some small way if you are extremely romantic. There is no right way or wrong way to do this. Much like planning a wedding, you should do what makes you as a couple the happiest. It can be a great big party for everyone you've met over the years, a small gathering for your closest family and friends, or simply the two of you. There are a few things to take care of to get the ball rolling. You will need to choose a site, date, and level of formality you want for the event. A guest list must be made too, and the size of the party may help you make those other decisions. Since you are already married, the ceremony doesn't need to be a legally binding one. Therefore, anyone can officiate. It's perfectly acceptable to have a close friend or even one of your children officiate. It could be a nice touch to find the person that originally married you and ask them to do it all over again. 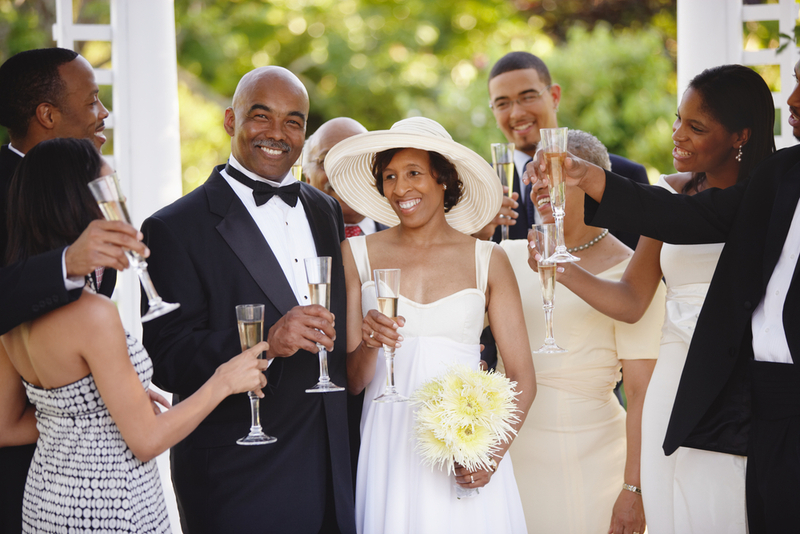 A wedding party is meant to act as the witnesses at a wedding. They are not necessary for a vow renewal, but once again, if you want to have attendants, go for it. You may want to use the same friends that stood up for you the first time. Children from your marriage are also a wonderful choice for attendants. No one is "giving you away" this time around, so the walk down the aisle will be a bit different. A child of yours can step in and do the honors of delivering Mom to Dad, or the couple can choose to enter together. When it comes to the exchange of rings, one option is to buy a new set to mark the occasion. 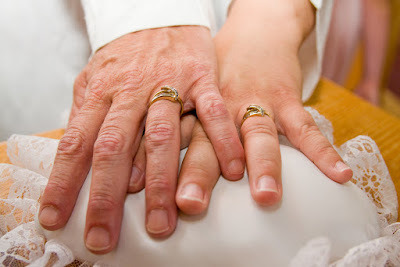 You may also use your current wedding rings, but have them newly engraved for this special day. 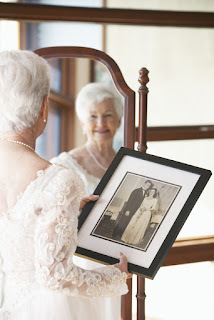 Gift registries are not needed for a vow renewal ceremony. Guests should not be expected to bring presents. If they insist, maybe request that they make a donation to a charity that you care about. If you want this vow renewal to be like a second wedding, put a fun "2nd time around" twist to everything. Theme the entire event something like "I do, take 2!" 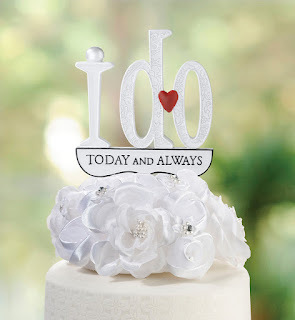 Put signs on the back of your chairs that say "Still his Mrs." & "Still her Mr."
Hang banners that say "Just Married Again"
Use the number of years you have been married for your cake topper. Use the phrase "We still do!" on invitations. Fill the path to everyone's seats with a chronological photo tour of from the wedding day up until today. Recreate photo poses from your original wedding. 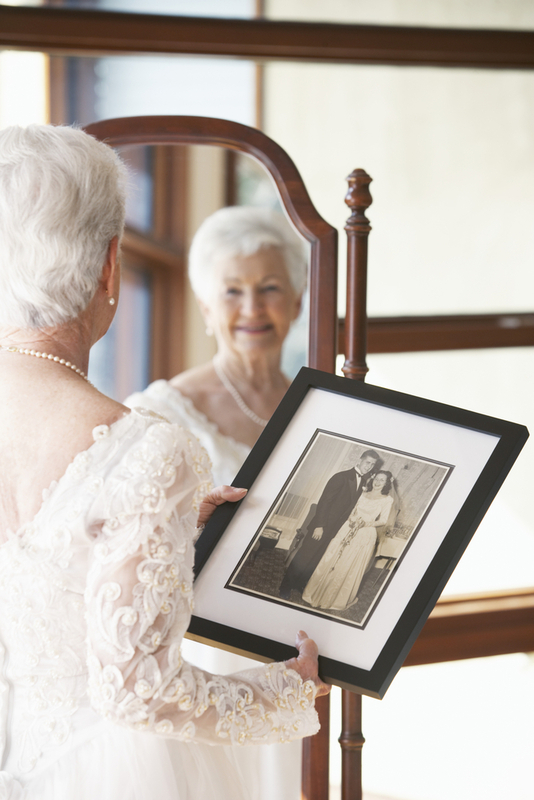 Whether you choose to hold an official vow renewal or privately renew your promises to each other, Recommitment Month is an excellent reminder that those important promises that you made are just as important today as always. WhereBridesGo.com has a large selection of wedding accessories online that will also work perfectly for a vow renewal celebration. You can go big or stay small, but it's the special thought involved that truly counts.